New grove dedicated in old park honors memory of AIDS victims - The Resident Community News Group, Inc. | The Resident Community News Group, Inc. 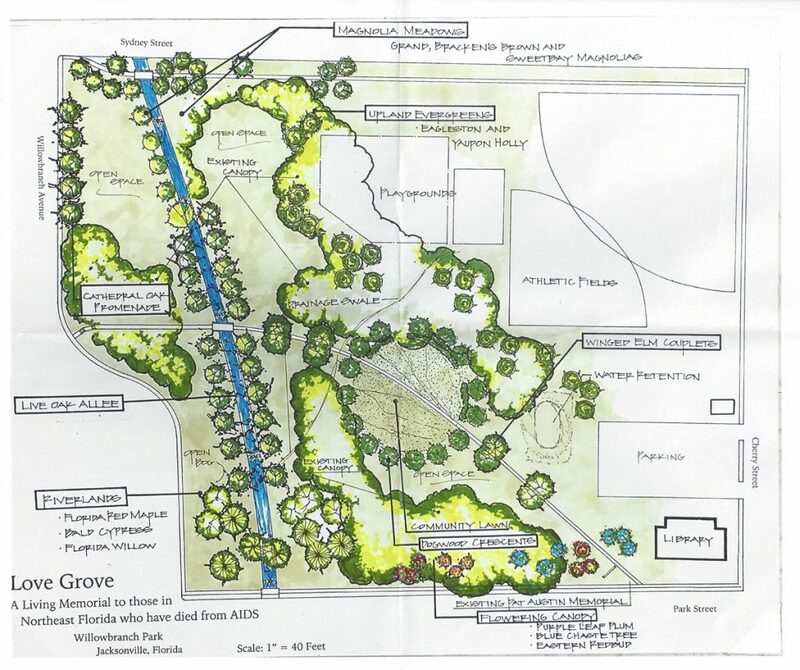 Rendering indicates type and placement of 100 trees in Willowbranch Park to create Love Grove, a memorial to Northeast Floridians who died from AIDS. Two years after the Valentine’s Day vote was passed 12-6 by Jacksonville City Council to include sexual orientation and gender identity in the Human Rights Ordinance prohibiting discrimination for public accommodations, employment and housing, another significant event for the LGBTQ community occurred this Valentine’s Day. 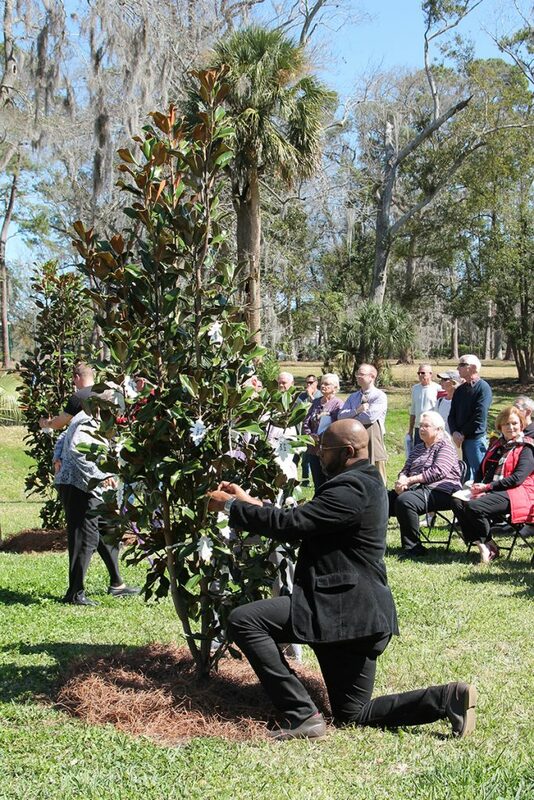 Several hundred people took time during the lunch hour to gather in Willowbranch Park, 2870 Sydney St., to dedicate the first three of 100 trees in what will be known as Love Grove, a memorial to the nearly 5,000 Northeast Florida men and women who have died from AIDS (acquired immune deficiency syndrome) in the past 35 years. During the ceremony, AMP Board President Richard Ceriello noted many of the early deaths were within blocks of Willowbranch Park and most within a few square miles. “ZIP Codes 32204 and 32205 initially represented some of the largest numbers of the early cases of AIDS diagnoses in Northeast Florida,” he said. It was also in that park the first Jacksonville Pride parade was held 40 years ago with some 300 attendees. 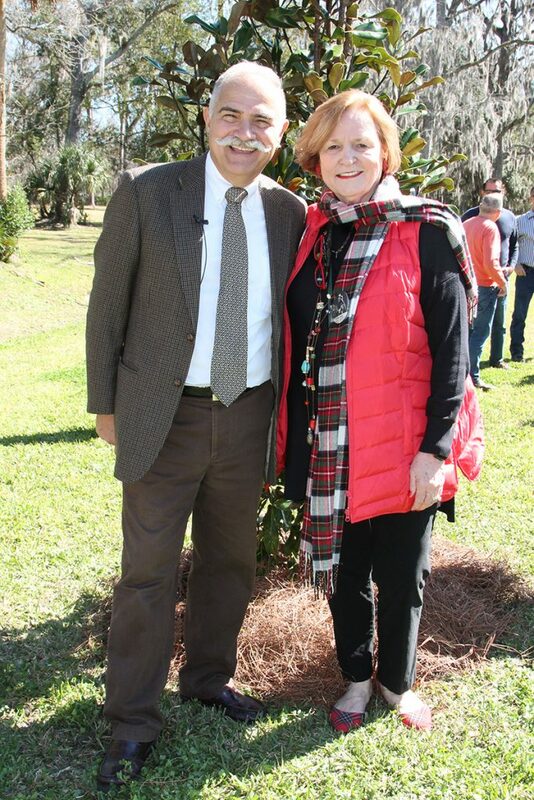 Sponsored by the AIDS Memorial Project of Northeast Florida (AMP), the Love Grove dedication ceremony included music, multi-denominational prayers, words of remembrance and the reading of 100 names of local individuals who succumbed to this disease, among them Ceriello’s partner, Tony O’Connor, in whose memory he established AMP in 2017. AMP Board Advisor Robin Hughes Patton’s brother, John, a Los Angeles actor under the name Jackson Hughes, also passed away from complications of AIDS in November 1989 shortly after performing in his one-man show, “Our Man in Nirvana.” Patton said the loss of her brother at age 30 was devastating. “John’s death was a wake-up call for me, to my existence and what I wasn’t doing…what I needed to do” to help others with AIDS and to fight the stigma against AIDS, she said. Patton became certified as a HIV pre-test/post-test counselor at the hospital in Daytona where she was working in the late 1980s. Jonathan Joseph kneels to affix a commemorative leaf to a magnolia tree planted on Valentine’s Day in Love Grove. When the initial three magnolia trees were planted earlier in the day Feb. 14, Patton added the ashes of her brother and of her mother, Evelyn Nehl, who passed away in 2011. Nehl, also an actor in Jacksonville community theater, was honored in 1992 for establishing the AIDS Memorial Quilt project in Jacksonville. The tree plantings are a joint venture between AMP, Greenscape of Jacksonville and the City of Jacksonville. Landscape architect Scott Dowman planned the placement of 100 trees, representing five different species, in the park. Open areas for picnics and other recreation will remain. Greenscape will organize the subsequent tree plantings, utilizing funds from the City’s Tree Mitigation Fund, which has more than $25 million available.